There are several species of Sundew. 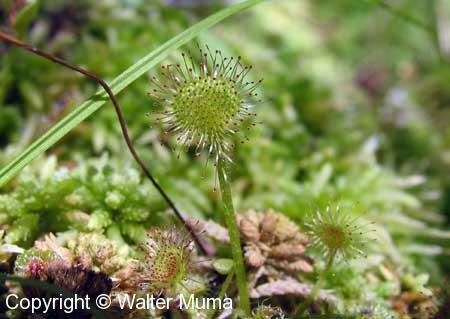 Sundews grow exclusively in bogs. They are carnivorous plants, in that they obtain their nutrients from insects which get trapped on their sticky leaves.